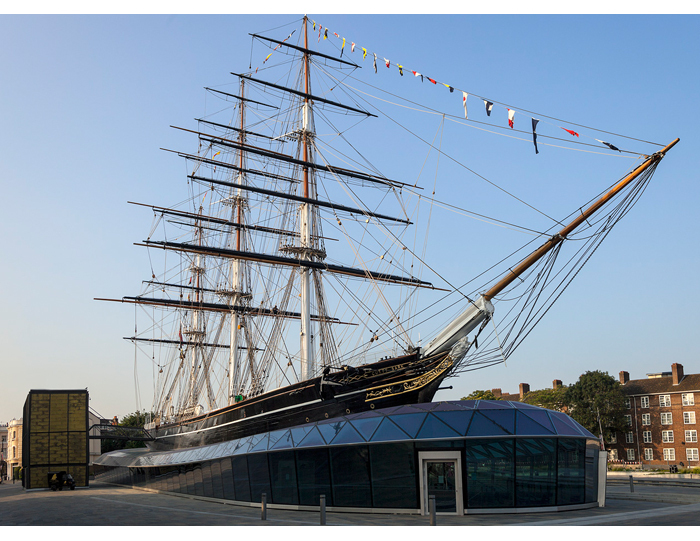 A truly unique wedding venue doesn’t get more distinctive than the Cutty Sark, a 19th century clipper that once sailed from China to England transporting tea. Now part of the National Historic Fleet (comparable to a Grade I listed building), the ship sits on a dry dock in Greenwich, London. Although thousands visit her every year, few know that you can hold a spectacular reception below deck too. Beneath its gleaming copper hull, the Dry Berth can welcome aboard 300 guests for your ceremony and 250 for a seated reception. This iconic venue provides flexibility in a beautiful heritage setting with amazing photo ops – exclusively yours to enjoy for the evening. 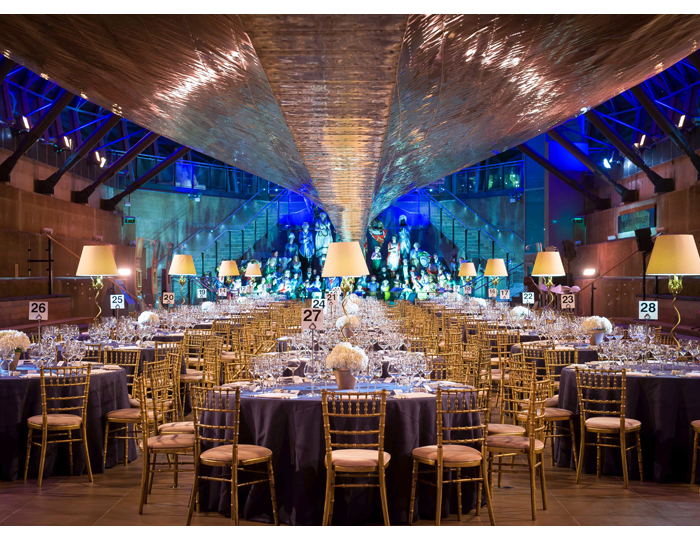 Whether you’re throwing the biggest party of your lives or an intimate affair for your closest friends and family, holding a reception at Cutty Sark is plain sailing. Aside from the Dry Berth, which can welcome 300, the ‘Tween Deck (once used to store teas from exotic lands) has space for 70. Combine the two for a sizeable reception venue with the added bonus of an incredible view of London from the Weather Deck, which overlooks the Thames. 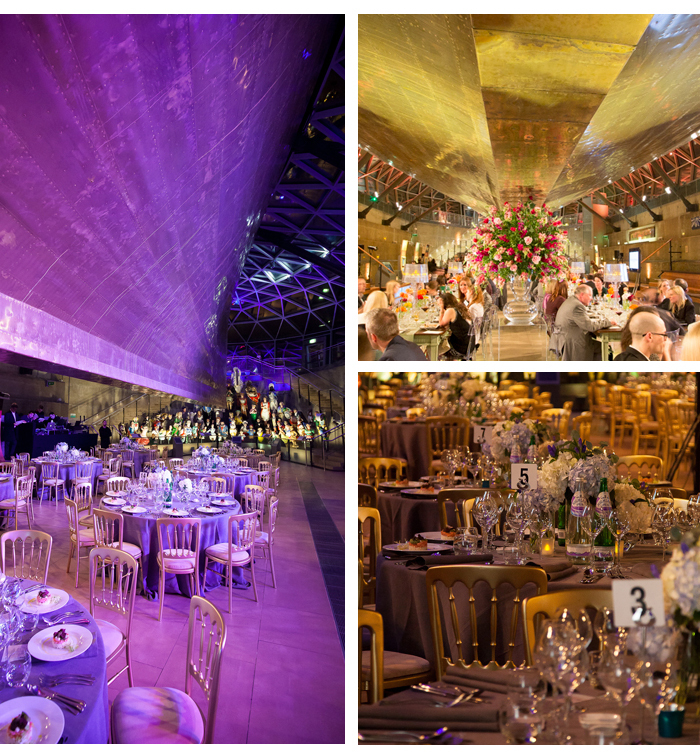 Cutty Sark knows exceptional food, floristry, entertainment and photography make each event unique, and keeps a list of trusted suppliers who are used to working in the venue’s unique dimensions. Go online for more details. Photo Ops: With three masts and rigging overhead, the Weather Deck makes a dramatic backdrop. Capacity: Maximum 450 guests for a standing reception. The ’Tween Deck can welcome 70. 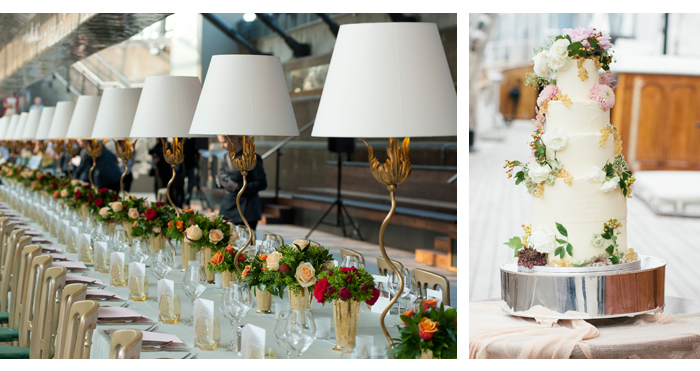 Wedding Makers: A list of approved suppliers includes florists, catering and entertainment companies. Getting There: Guests can arrive on the DLR or the Thames Clipper.